Getting good sleep is essential for a healthy life, and the lack of it can lead to drowsiness, difficulty focusing, irritability, inability to manage stress and digestive issues, among others. 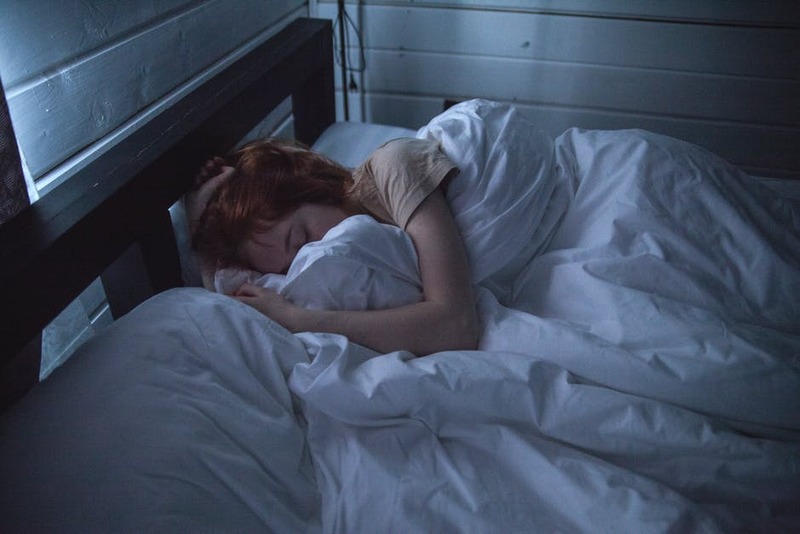 If sleep deprivation goes on for long enough, it can result in long-term effects such as immune deficiencies, high blood pressure, diabetes, obesity, and increased risk of heart disease. However, the consequences of sleep deprivation don’t stop at physical health. Mental health is also a serious concern when it comes to getting adequate rest. From depression and anxiety to risky behavior and suicidal thoughts, poor sleep can take its toll on your mind and significantly increase stress. To ensure you are doing what you can to take care of yourself, follow these five tips to improve your sleep. Sleep is usually the first part of our life to be compromised when we’re busy, but sleep is not a luxury — it’s a necessity. The first step in getting better sleep is to make the time for it. Put it on your schedule like you do anything else; bedtimes are not just for kids. How much sleep you need depends on your age. Most adults need seven to nine hours, and children and teenagers need more. Find out how much you need, make a bedtime that works for you, stick to it, and give your body and mind time to adjust to this schedule. It’s important to note that you want to be realistic in setting a sleep routine that works for your life, but make sure you prioritize it. This means that if you need to move something else around on the schedule to make room for proper rest, then do it. Having a routine helps your body and mind know when it’s time to unwind. Try some things that do not involve electronics, as the blue light from televisions, tablets, and computer screens can hinder you from falling asleep and disrupt your rest throughout the night. Instead of winding down with social media or your favorite late-night television program, try taking a warm bath, sipping on herbal tea, meditating or reading a book. It should go without saying, but having a bedroom that’s conducive to sleep is equally important when it comes to getting good shuteye and lowering stress. Keep the bedroom clutter free and remove paperwork or exercise machines — basically get rid of anything that’s not related to sleep. Blackout shades, comfy bedding, a diffuser for soothing scents and even white noise machines are all additional ways to make your bedroom the sleep sanctuary it should be. What you eat and drink before bed can also affect your sleep. Generally speaking, it’s best to avoid eating a heavy dinner within two hours of your bedtime. If you’re a late-night snacker, substitute the potato chips for a fruit and yogurt bowl, fresh veggies and dip, or air-popped popcorn. Furthermore, stimulants like caffeine and alcohol can have a negative impact on your sleep. Alcohol may initially make you drowsy, but it can disrupt your sleep as it leaves the system. Caffeine, even if you drink it in the afternoon, can keep you from falling asleep. Exercise is one of the most beneficial habits you can have for your overall health. A walk or run in the neighborhood, yoga, or weightlifting can help provide energy throughout the day and allow you to enjoy sweeter rest at night. Physical activity too close to bedtime, however, can keep you from getting good rest, as your heart rate is raised and your body and mind are energized. Work out in the morning or early evening to give yourself enough time to cool down. This one is a tricky one. When you’re tired from poor sleep, an afternoon nap can help get you through the day. But when you take a nap, it messes up your body clock and makes it difficult for you to fall asleep at bedtime. Try to cut out naps first, and it could leave you more tired so that you fall asleep at the end of the day. Adequate sleep is too vital to your mental health for it to be compromised in your life. No matter how busy you are, make sleep a priority and part of your schedule. Come up with a good bedtime ritual and be conscious of what you eat and drink before bed. Find an exercise routine that works for you, but make sure you give yourself time to cool down at the end of the day. Following these tips will help get you on track for better sleep and mental health. Let us help you to quit drinking too much before bed!